The Bosch CM10GD is a 10 In. 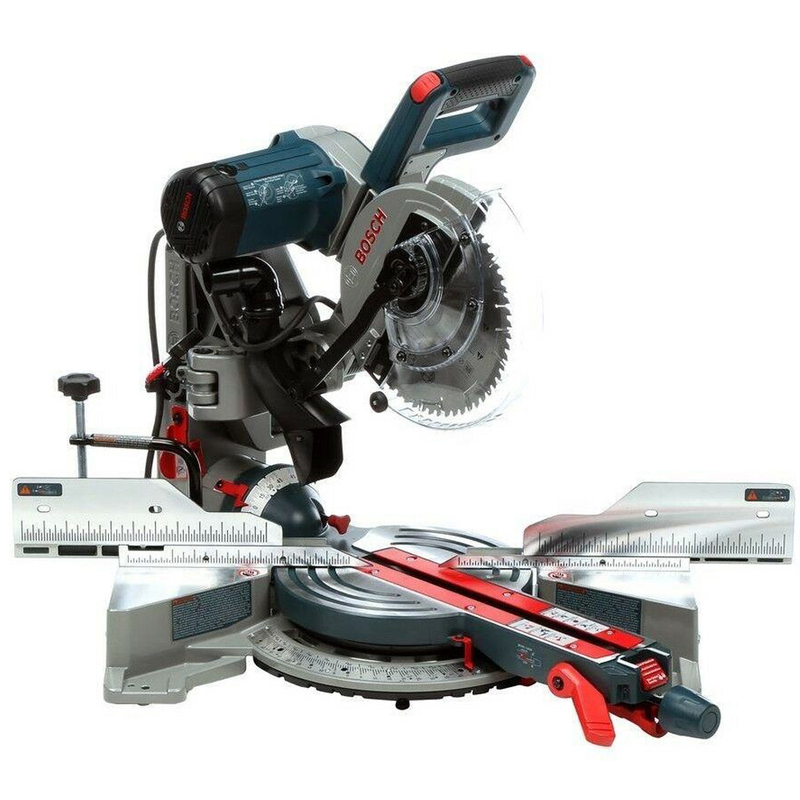 Dual-Bevel Glide miter saw that delivers accuracy and cutting control at all angles, as well as consistent precision throughout the life of the tool. The innovative Axial-Glide System provides wider cross-cuts, enhanced alignment and smoother glide, and the compact design takes up to 10 inches less workspace. With 4,800 no load RPM, there is plenty of power. Adjustable miter and bevel detents enable users to make precise common miter and bevel cuts, and the override allows for easy angle adjustment. The bevel lock lever and range selector are located safely upfront so users don't have to reach around behind the saw.